I always thought real estate was a good investment, but I never really knew why. I just thought people who had a ton of money owned lots of real estate, and somehow that worked out well for them. Living in an expensive area like Southern California, my wife and I struggled saving enough for our first house. Buying another expensive house as an investment didn’t seem like something we’d be able to do. Losing money each month and praying for appreciation is not how I want to be investing. This discouraged me, but I knew there had to be a way others were succeeding. One day my neighbor mentioned that they had bought a few rentals out of state, and they all had positive cash flow. This got me excited, so I pressed for more information. It turns out they were buying inexpensive single family homes in areas where there was a lot of demand and rents were high. I was so interested that I listened to probably 100 podcasts, read countless books, articles and forum posts on real estate investing. 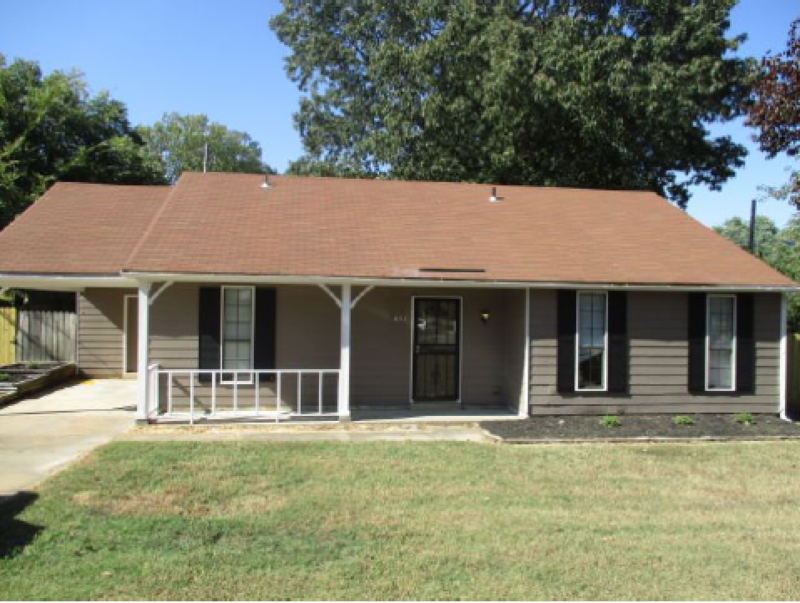 A few months later, my wife and I closed on our first investment property in Memphis. Our rental property cost $86,500. We put 20% down, after closing costs we put in about $18,000 in cash. Our mortgage is $500/mo with taxes and insurance, and it rents for $895/mo. That leaves us with $394 positive cash flow. With a rental like this you factor in other expenses such as property management ($75/mo), and save for future maintenance, vacancy, and other expenses. Even after all that, we end up with about $200/mo net. Pretty good! We never went to Memphis, it was all done through a turn-key provider. That means they facilitate the process of finding the property, loan, and property manager. I’ll talk more about this process later in the article. Our annualized rate of return is 10.8% cash on cash, and 15.45% counting amortization. (That’s fairly conservative, actual returns should be higher) In 30 years we will own a home that someone else paid off for us, while we got tax breaks. The reason I like real estate is because someone else is paying your mortgage. After 30 years I will have all the cash I made each month, plus a free and clear property. All that, plus Uncle Sam gives you benefits you don’t get with stocks, like deferred tax through depreciation and 1031 exchanges. Even though I love real estate investing, it’s not always easy. First, unlike stocks, real estate is not a fully passive investment. I have to communicate with my property manager to make sure they are doing their job, and unexpected stuff happens. We have had to replace a garbage disposal, deal with late rent, and one of my tenants died. I’m sure lots more stuff will go wrong next year. If I keep the property for 30+ years, eventually stuff will start falling apart. I’ll have to replace expensive stuff like the roof, HVAC, etc. This is all figured into my calculations each month, I’m saving for replacing a roof once every 30 years. However, reality is never as straight-forward as math. I’m expecting my returns to start diminishing after 5 years or so because of these extra expenses. It can be a pain sometimes, but I think it’s worth it in the long term. Update January 2018: Our renter left the property without notice in November, and trashed the place. They poked holes in the wall, threw rocks on the roof, and ripped doors off the hinges. We had to pay $2,000 in repairs, and the property has been vacant because the rental market is really slow in the winter. At this point we are losing money, but hope to get back to even by the end of this year with a new renter. Since I bought my rental property, I took a deep dive into real estate investing. I’ve read several books, listened to podcasts almost daily, participated in meetups, met with other investors, and analyzed deals. Turn-key is not the best ROI, just the most passive. It’s not that hard to cut out the middle man. I’ve learned other ways to invest in real estate by educating myself. I’m willing to put in the effort to get better returns. That doesn’t mean it’s a bad investment, I’m just willing to put in my time to get a better investment. If you want to put in a minimal amount of effort, I think it can still provide good returns for a passive investor. A turn-key company is a middle man, they find properties and connect you with the sellers and property managers. This is great when you want to be really passive, but you end up paying a lot more than you should. They mark up the purchase, then after the sale they don’t really do anything. It’s just you and your property manager. It isn’t that hard to call up a real estate agent and start looking at properties, then find your own property manager. You can save a lot of money by cutting out the turn-key company, but it becomes less passive. If you don’t know what you’re doing you can get into trouble, although it’s not actually that much riskier if you pick the right market. That’s where education comes in. I am thankful I bought this property through a turn-key company, because it was a gateway to learn more about real estate investing. I think real estate is for investors that have a passion for it, and are interested in the journey, not just the returns. I would not recommend it to someone who thinks they can get rich without much effort. That’s not the case at all. If you are excited about the idea, and you don’t mind if there are some bumps along the road, then I’d definitely recommend it. Real estate has a lot of advantages that other investments don’t have, including tax benefits, leverage, and having someone else pay your mortgage. I would not recommend purchasing any real estate until you’ve educated yourself. I’d recommend reading books, listening to podcasts, going to local meetups, and talking to other investors before taking the plunge. If you have any specific questions about my rental property I’m happy to answer in the comments. Previous: Previous post: What Makes Your Product Different? This is really up my ally. So glad you decided to make that investment because ever since the market tanked around 2008 people have been very leery to get started. It’s taken a while for the real estate investment market to turn around. It’s really booming here where I live now. Cleveland and surround areas are a really good place to get property – cheap too. My ex-husband and I were real estate investors here. Seventeen years for me, and more like 23 for him. At the time of our divorce we had our main home, a vacation home in Florida and 15 rental properties totaling 75 tenants and worth about $2.4 million. I signed over everything to him so I could care for my Mom. He in turn, lost everything over a two year period. But we were doing so well that I quit my full time job. He kept his job and we still were able to get everything done, i.e., scout properties, bid, get the bank loans, do all the financials, rehab and then rent them out. It really is a job. And for someone like you who purchased out-of-state, that can be a challenge. Hopefully you have a great person in that area to be able to help you manage that property. Great insight, thanks Anita! I’ve looked in Ohio, the problem is definitely finding a team you can trust. I’m still working on figuring that part out, but you’re right, it can become a full time job if you let it. You’re welcome. I’ve looked at other states, their laws, processes, etc., for purchasing property and I have to say Ohio is one of the easier states to get decent property. Property that only needs minimal work, say a 2-4 week clean up and you can have a tenant within 30 days. We have foreclosures and property tax foreclosures and the latter is one that a lot of people don’t know about. You can get some awesome properties through tax foreclosures here. The turn-key provider you mentioned, was it Roofstock? I purchased my first property through a different turnkey provider, but my second one was Roofstock. I had a pretty good experience with Roofstock, and would recommend it to newer investors.